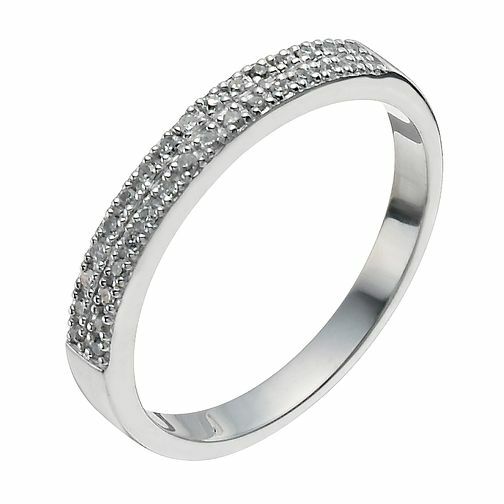 A sleek 9ct white gold band, adorned with two rows of sparkling diamonds totalling 10 points. A stunning wedding band or simply chic ring for everyday wear. 9ct White Gold 10 Point Diamond Ring is rated 3.7 out of 5 by 3. Rated 5 out of 5 by Anonymous from Perfect compliment to my engagement ring Enough sparkle without overpowering my engagement ring.